Bring home to your office! 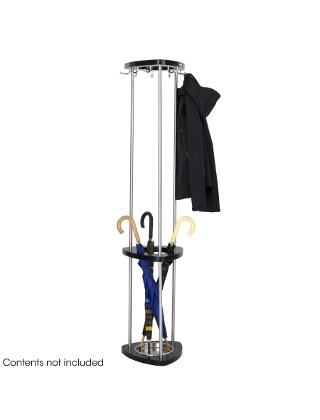 Stylish design offers organization for garments and umbrella. Brushed chrome accents. 9 hooks with rounded tips for gentle care of your garments. Available in three finishes: Black (BL), Cherry (CY) and Mahogany (MH).